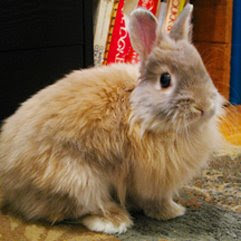 I'm happy to announce a new guest poster coming soon to Dog Meets Bunny. 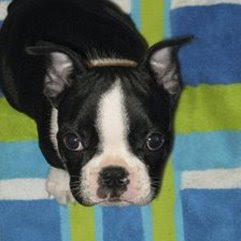 Liz and her husband Ricky just brought home an 8-week-old Boston Terrier puppy, and also live with a 6-year-old Jersey Wooley rabbit named Butters. At this point they haven't yet done any "introducing" -- rabbit and puppy just know each other exist in the same apartment. We'll see how things progress!